. 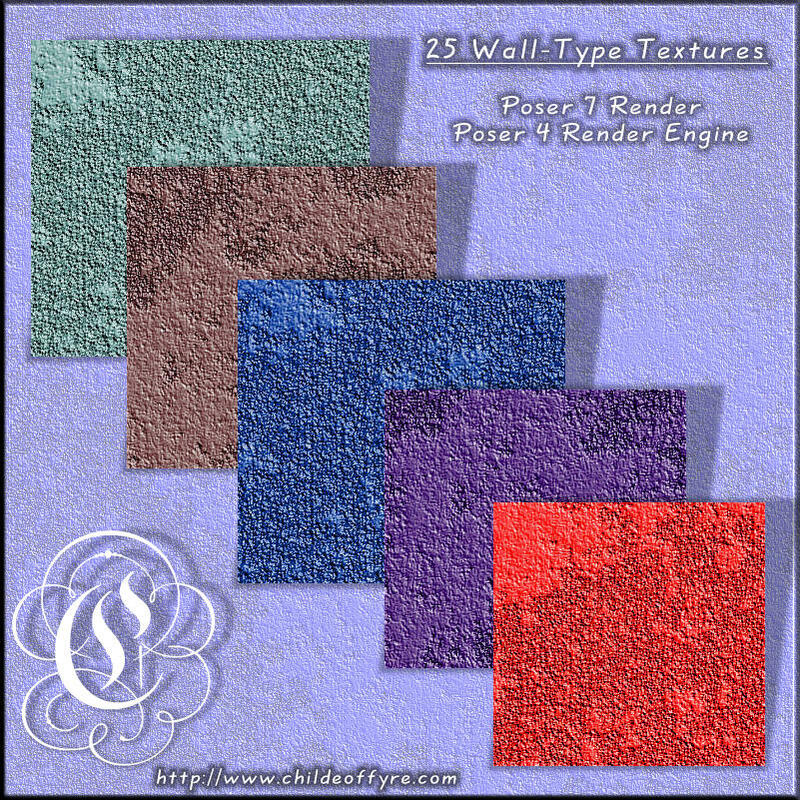 :: Wall Texture Pack 1 ::. 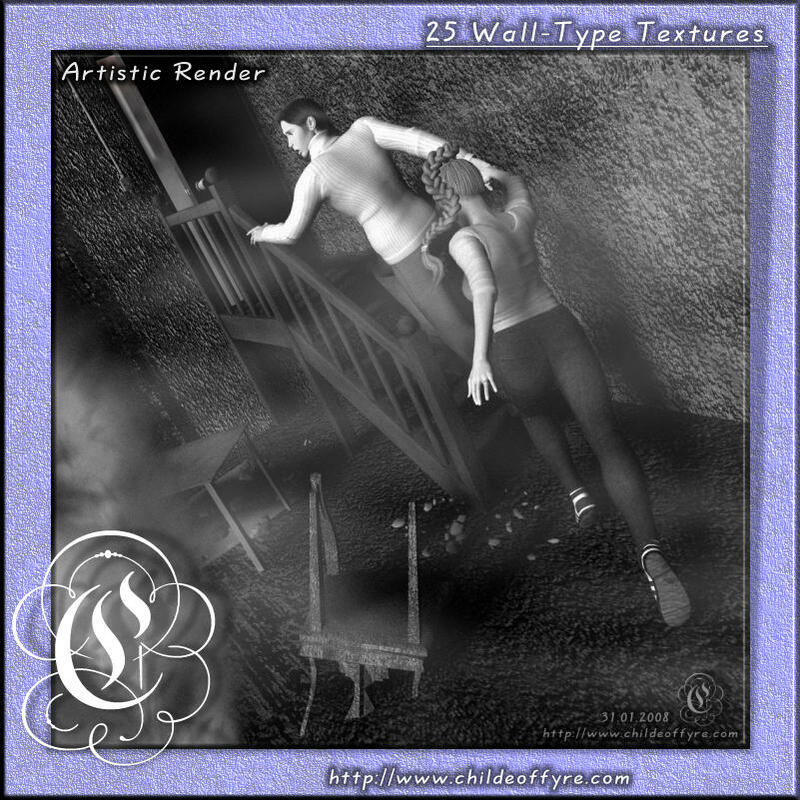 — COF Walls01-Full.zip is the FULL file, containing ALL of the assorted images and material poses in one zip file. This is HUGE. It is 53.2mbs in size. 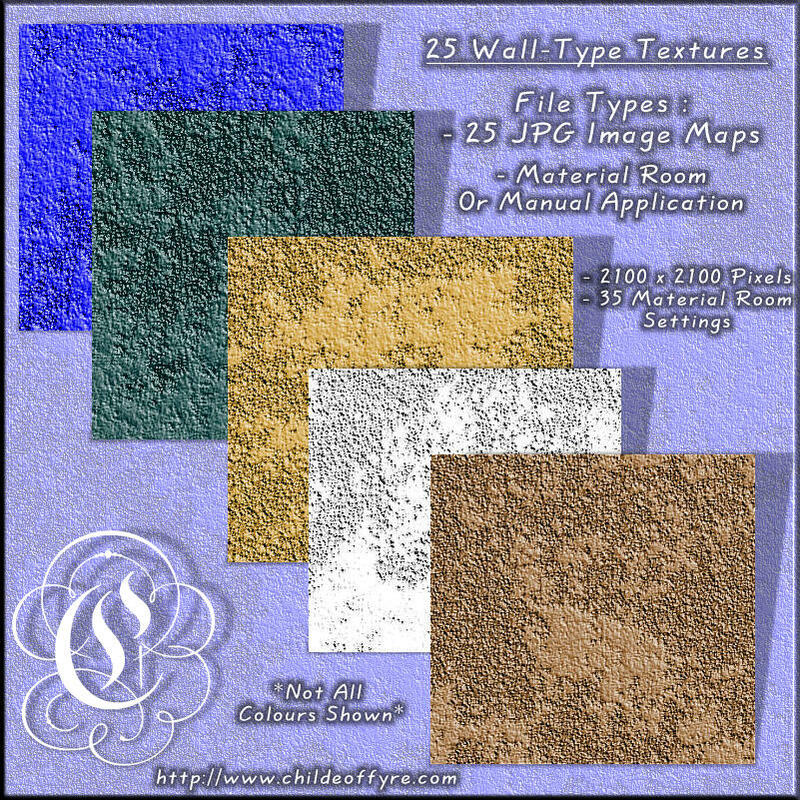 — COF Walls01-PT1, PT2, PT3, and PT4.zip - these are the broken down in size files, make sure you get ALL of them if you do it this way. If your on a high bandwidth line and don't mind waiting a couple of minutes, you can grab the full version. If you're on a low bandwidth line or simply don't want to sit and wait for 53megs to download, you can grab the files by getting the two numbered zip files instead. Either way, you'll get the whole thing. 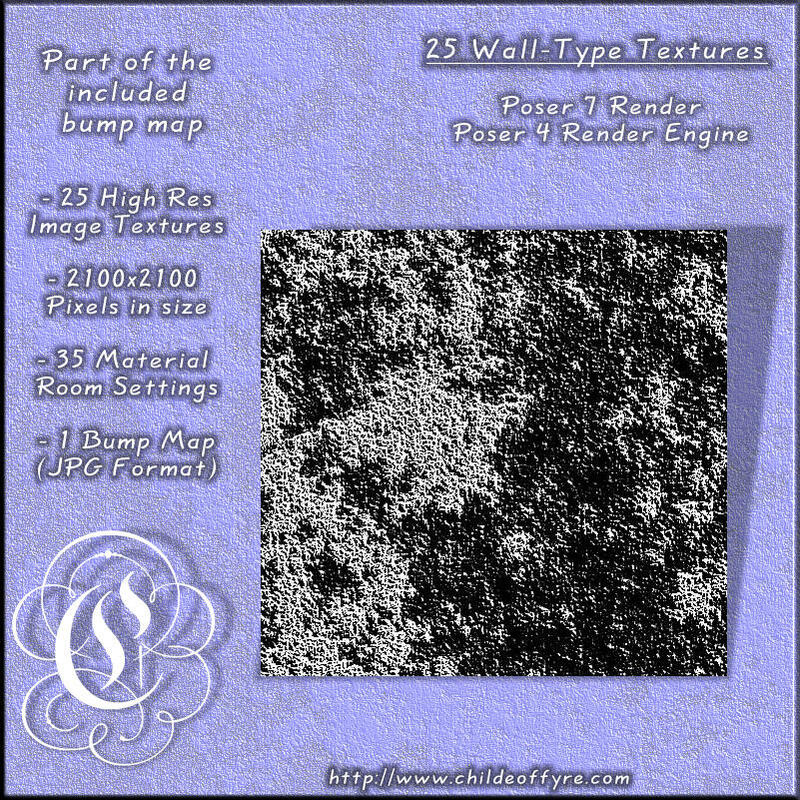 There are 25 image textures at 2100x2100 pixels in size, and 1 bump map at 1024x768 in size. 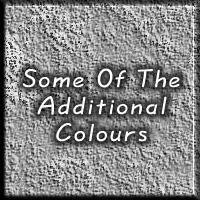 35 material room presets are included as well. 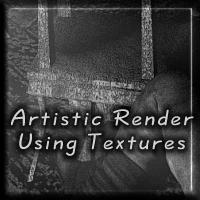 If you are a Poser 4 user, you can always just apply the image textures and bump maps manually via your render materials dialogue. Just don't install the material room settings is all. 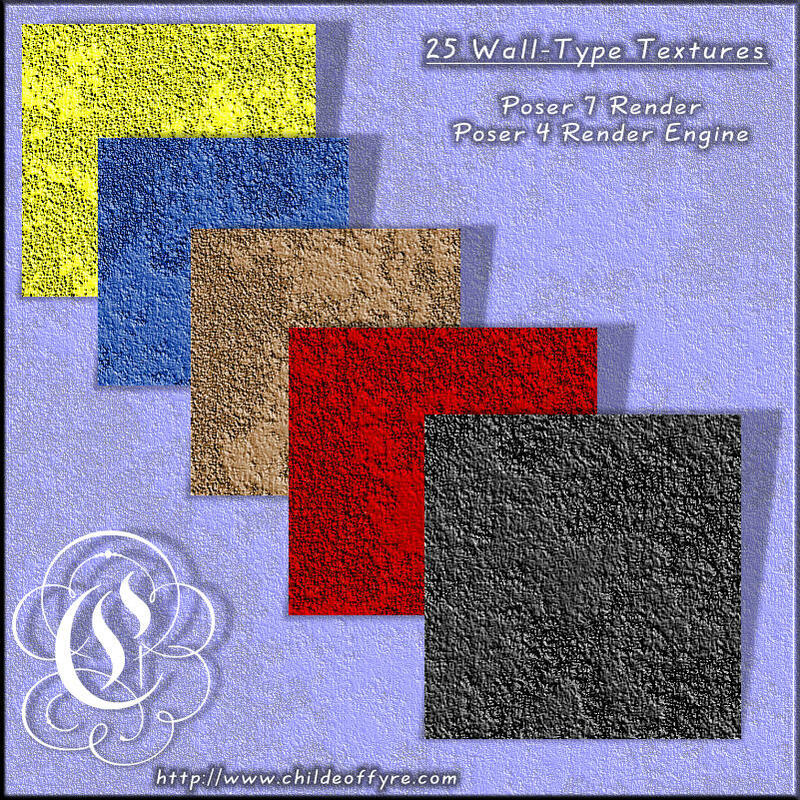 If you're a P5 or higher user, you'll be able to apply the textures to any surface you want via the material room. 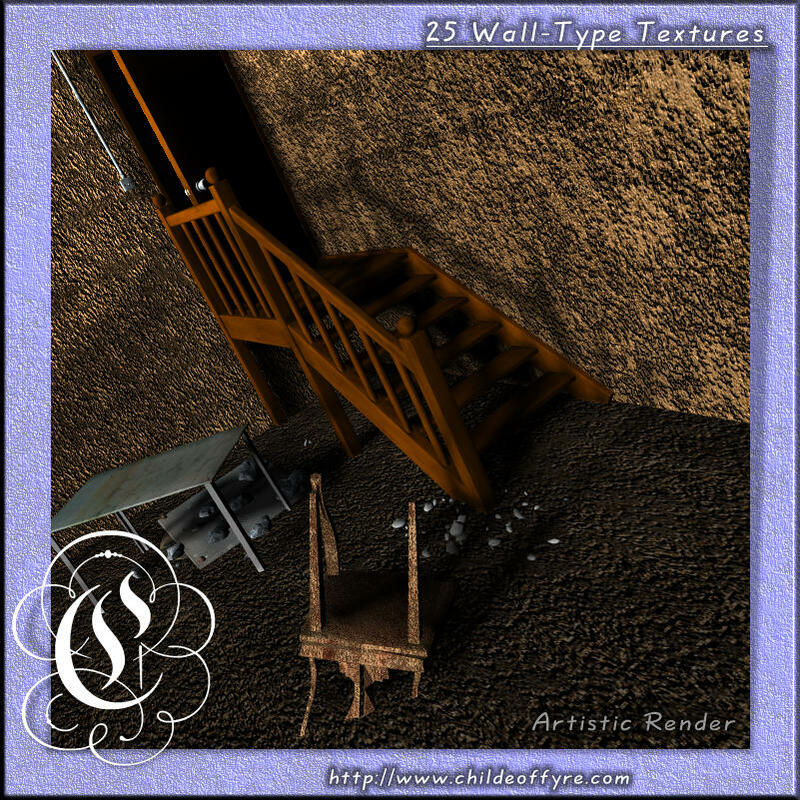 I have one more pack like this coming out, I just have to get around to editing the silly version number on all the material room settings and such before I upload it. It's about the same size and will be worked like this one.